U.S. District Court Judge Jorge Alonso’s decision announced paves the way for the creation of Advocate NorthShore Health Partners (ANHP) by denying the Federal Trade Commission’s (FTC) request to block the merger. ANHP will create an innovative care delivery model focused on expanding access, unifying quality and lowering overall cost of care for patients. ANHP combines two health systems recognized nationally for delivering top quality health care. Advocate is consistently named among the top five large health systems in the U.S. based on quality and efficiency, ranked among the largest Accountable Care Organizations in the nation and leads the way in population health management and clinical integration. 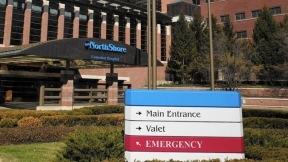 Likewise, NorthShore University HealthSystem’s (NorthShore) reputation and excellence in quality, safety, clinical expertise, and translational research have made it a formidable leader. 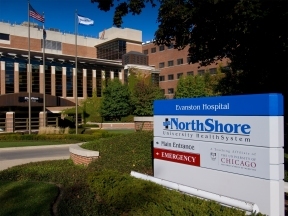 NorthShore was among the first in the U.S. to successfully launch a system-wide electronic medical record, lauded by healthcare institutions nationwide. ANHP, the parent company for both organizations, will serve more than three million patients annually, making it the 11th largest not-for-profit health care system in the United States. Skogsbergh and Neaman will serve as co-CEOs of ANHP for a designated timeframe. The ANHP Board of Directors will be comprised of an equal number of members from both Advocate and NorthShore; and the organizations are consolidating financial statements. Advocate and NorthShore first announced their intentions to merge in September 2014. After a 15-month review, the FTC opposed the merger in December 2015 setting the stage for a federal court hearing in April 2016, culminating in today’s decision.